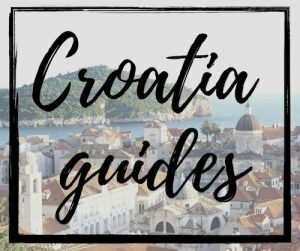 2019 is the year that I’m taking my Croatia travel tips beyond my blog. Yep, it’s time that I don’t just tell you; I SHOW you. Some of you may recall that last spring I announced a partnership with the responsible travel company, Traverse Journeys. We worked together on a group trip throughout Croatia last October, and I’m pleased to announce that this trip will be taking place AGAIN in 2019. I will be coming along on this year’s trip as well, but not just as an influencer; Traverse Journeys is officially taking me as the group trip lead in Croatia! I’m absolutely thrilled to be working with a female-founded company dedicated to using travel as a catalyst for positive change. This year we will be working again with Green Sail Croatia as our community partner. For many of you that expressed interest in the tour but weren’t able to make it last year, now is your chance. There are ONLY 3 spots left on the trip taking place October 13-20! 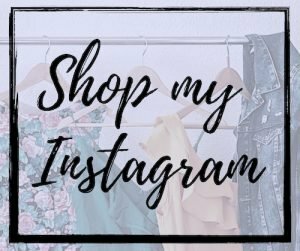 Also, if you do end up coming, there is a discount code through this blog that you can use to take a percentage off your trip! 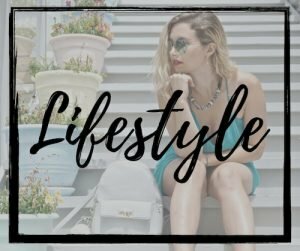 Traverse Journey is a boutique, female-founded travel agency based out of Austin, Texas. The mission of “people, planet, purpose” shines through all of their tours that are hosted around the world, from Peru to Morocco, and Costa Rica. 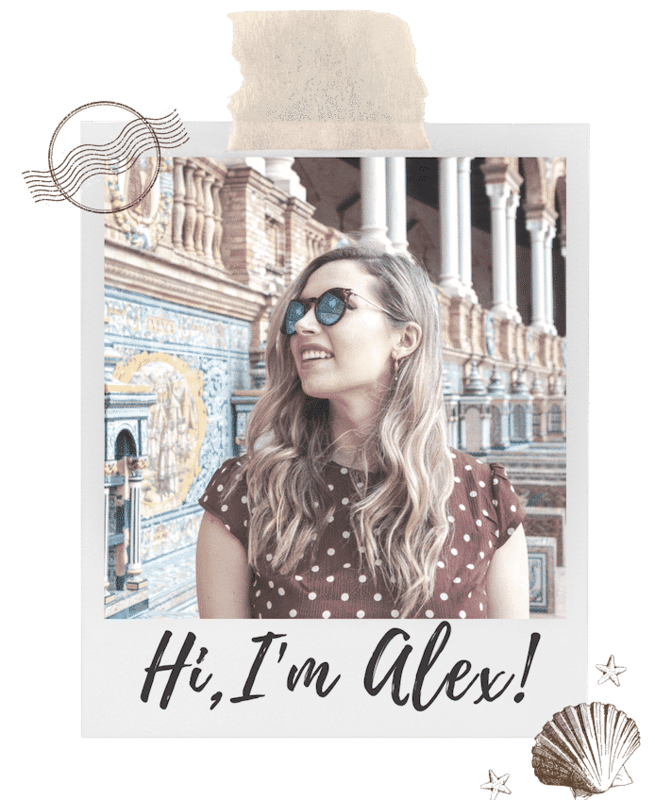 I had the opportunity to travel with Ashley Blake, founder of Traverse Journeys, during our Croatia trip last year. She is a total well-traveled boss, and perfectly embodies what to mean to be a responsible traveler. I say this because this energy really sets a positive tone for the trip. She will be attending this year as well. But speaking of pay, one of the ways Traverse practices responsible travel is through supporting locals as much as possible. 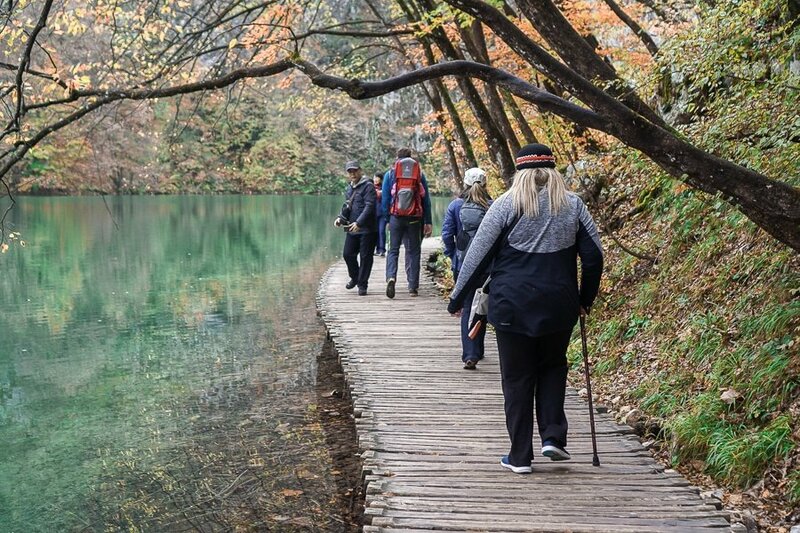 From paying guides a very fair wage, to staying at local owned B&Bs and always making a point to eat locally-grown foods, Traverse makes responsible travel in Croatia easy. 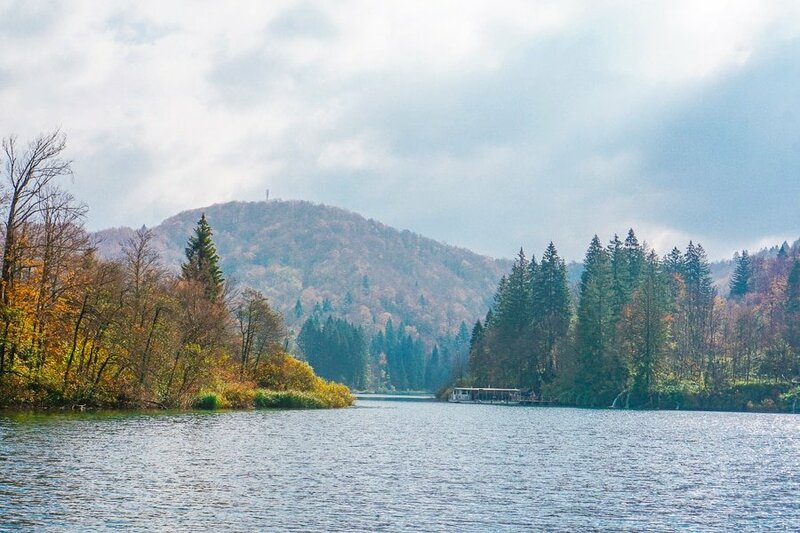 Quite possibly the biggest standout from this agency to the thousands of others that operate in Croatia is Traverse’s dedication to working with a local non-profit on every trip. For trips in other countries, Traverse partners a lot with women making artisanal goods. For this trip, we will be working a non-profit dedicated to ocean conversation and management in Croatia. The area of Split we will explore during our eco-walk with Green Sail in Split. In a country filled with such untouched nature and beautiful coastlines, you would think there would be more non-profits dedicated to environmental protection. Unfortunately, this isn’t exactly true. Luckily seeing organizations like Green Sail give me hope for Croatia’s future. Founded by Sail Croatia, Green Sail is a pioneer in the sustainable tourism movement in Croatia. They are dedicated to education and action by leading beach cleanups, awareness campaigns, and helping with ecological research. One of the biggest hurdles with sustainability in Croatia that I’ve noticed is a lack of motivation and education. From my experience, local mentality can get stuck in an apathetic mindset where individuals feel incapable of making change. That’s why it’s so important that Green Sail is taking the time to change this thought pattern, especially with younger generations. By attending Traverse Journeys trip, a portion of your package price will go towards a donation to Green Sail. Especially after experience the nature of Croatia for 7 days, you can rest assured that you are helping converse it! Who is this trip best for? Croatia’s culture, history, nature, and cuisine truly has a little bit of something to offer for everyone. The only requirement for this trip is that you are able to keep up with a moderate level of walking and/or hiking for a couple hours a day, and that you have a positive attitude. Never been to Europe? No problem! Croatia is actually a nice “gateway” into exploring the rest of Europe. This is because everyone speaks English, and it is actually one of the safest countries in world (MUCH safer than the U.S.). Also, geographically since the country is so long, you’ll get a fusion, of Balkan, Roman, Austro Hungarian, and Mediterranean cultures! Don’t have anyone to go with? Don’t worry! Single travelers are welcomed and have a great time on our trips. You’ll be sure to make friends and make everyone back home jealous! 😉 And hi! You can hang with me! Nervous about traveling alone? Don’t be! Even if you fly alone you’ll be with us the entire time when you get here and we will take care of everything. We can arrange for shuttle pick up and drop offs at the airport as well to put your mind at ease. 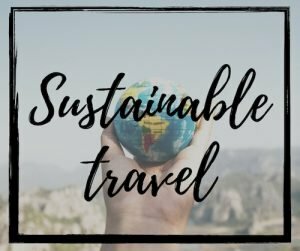 Don’t know much about responsible travel? You don’t need to! This trip is first and foremost, fun and exciting, filled with new experiences and cultural immersion. 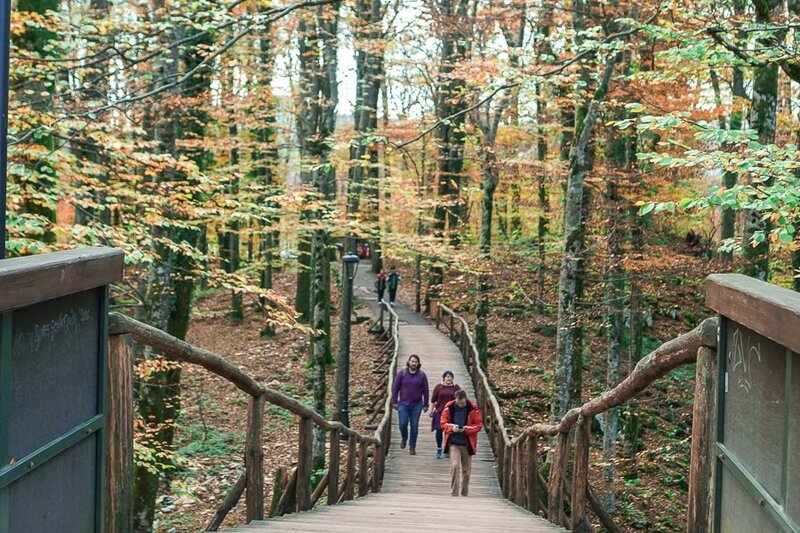 Along the way you will not only learn about Croatia as a country and culture, you’ll perhaps learn a thing or two about how you can be a more responsible traveler during your next trip. We truly welcome everyone of all backgrounds and experience levels! 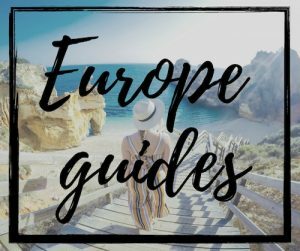 Having been a part of this tour last year, we’ve worked hard to craft an even better itinerary for this upcoming fall to ensure the best trip possible. We wanted to make sure guests have extra time to explore on their own, while also having a bit of structure. Also, Ashley has worked very hard to find the best locally owned accommodation and delicious restaurants in each location. The first day you’ll arrive in Zagreb, the capital of Croatia and one of my favorite cities in the world. Imagine a funky, less expensive Vienna with tons of eclectic coffee shops and luscious parks. This day is mainly for relaxing, but in the evening we will have a welcome meal in a local restaurant. 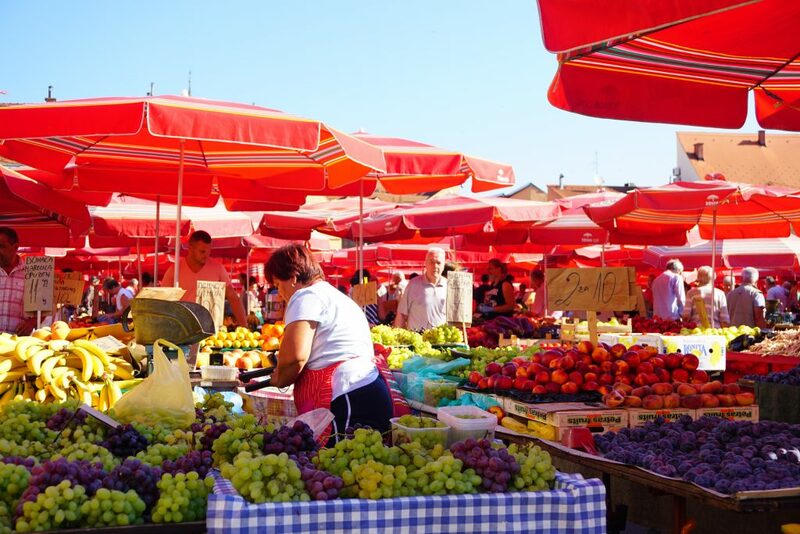 Here you’ll receive your first welcome meal into Croatia full of locally grown foods from Zagreb’s legendary Dolac market! In the morning, we will be taking a tour through the city with a local guide. Even for myself, having visited Zagreb many times, I learned so many interesting pieces of history during this tour. If you are interested in Zagreb’s history in former Yugoslavia, this tour will be particularly interesting for you. 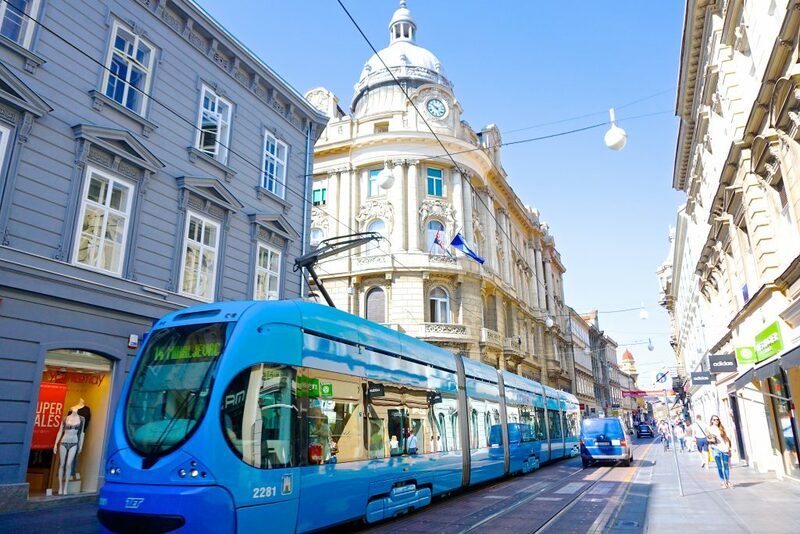 The afternoon and evening will be free for you to explore the rest that Zagreb has to offer. You may want to visit the famous, Museum of Broken Relationships, filled with funny and heartwarming stories and artifacts from broken relationships. 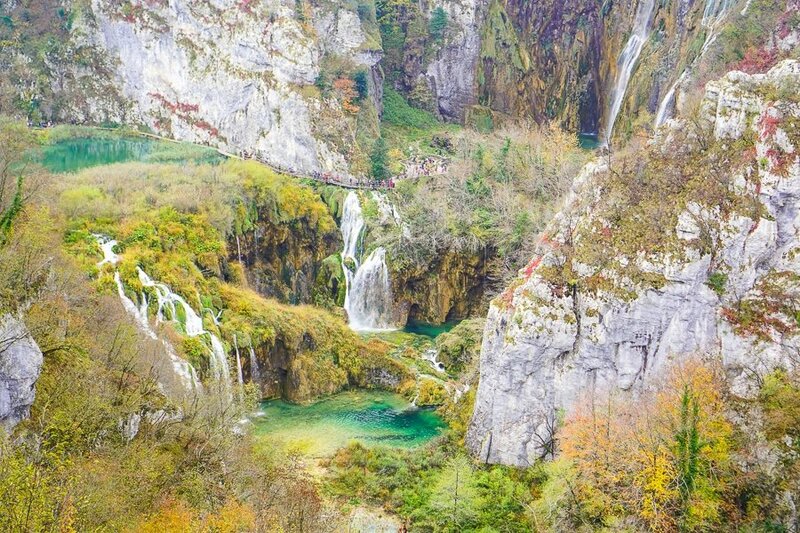 You’ve probably seen unreal pictures of waterfalls and lakes in Croatia, and this is exactly where you find them! This national park is a UNESCO world heritage site, and filled with 17 turquoise lakes with the most pristine nature in the region. During the fall this park is even more colorful with shades of green, blue, orange, and red! We’ll explore here as a group with plenty of free time for pictures and option to hike the full park or only half. From here we will head to Zadar to start exploring the Dalmatian coast! In the morning you’ll wake up in what might feel a completely different country. 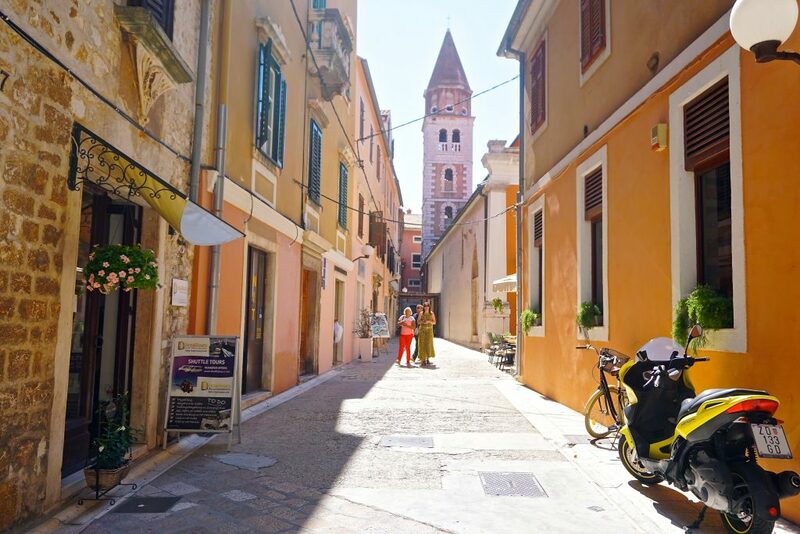 Zadar can almost feel like Italy, with tons of Roman ruins and Roman Catholic churches. We will walk around Zadar as a group taking in all of the architecture, while stopping at the Sea Organs! Later in the afternoon we will head off to Split, which is about 1.5 hours from Zadar. 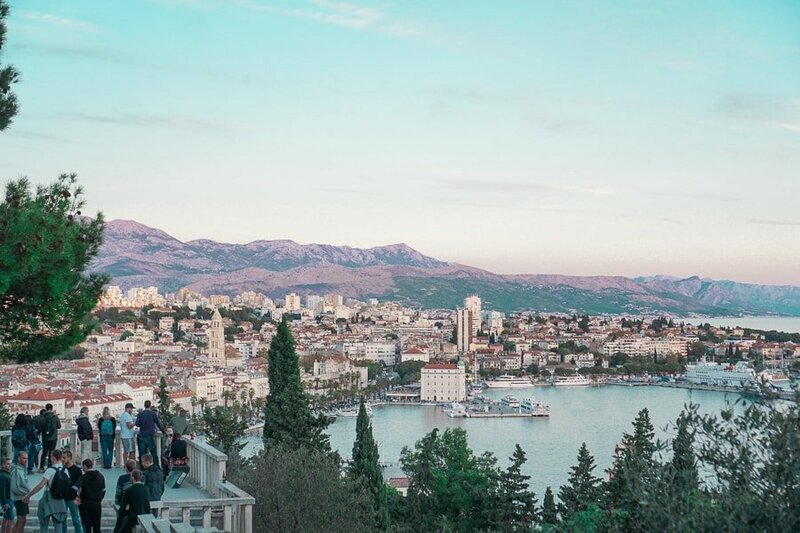 In Split you’ll have the afternoon and evening to explore the town and surrounding landscape, such as visiting the famous Riva promenade, hiking up Marjan Hill, or having delicious seafood! On this final day in Split, we will take a tour in the morning with our community partner, GreenSail, for an eco-walk. First you’ll learn about the history of Diocletian’s Palace, what many know today as a popular Game of Thrones filming location. The last portion of the tour will be for learning about GreenSail’s initiatives and sustainability along Croatia’s coast. What I loved about our walk last fall was that it perfectly dovetailed with all of the nature incorporated into the trip. It’s a great learning experience for how tourists and locals can support sustainable tourism in Croatia and beyond. 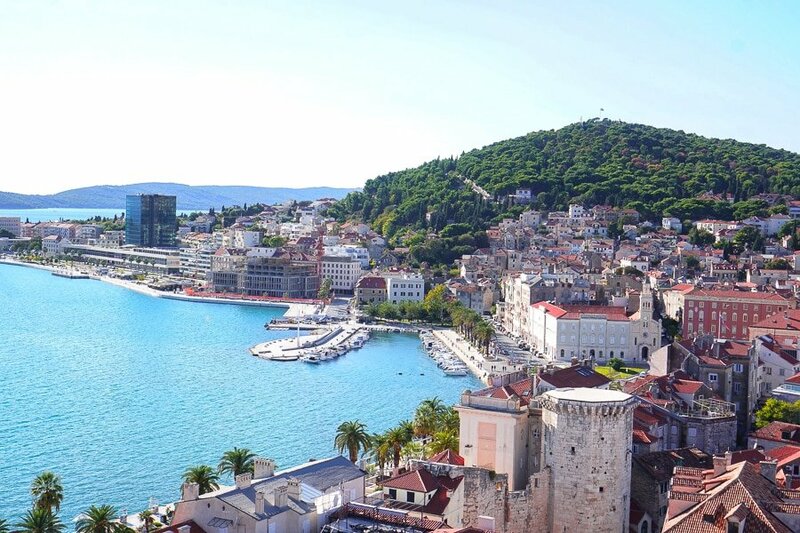 The rest of the afternoon will be free for you to explore Split. This day we will get up a bit earlier, but it will be worth it for the full day of the incredible cities we will be stopping in. 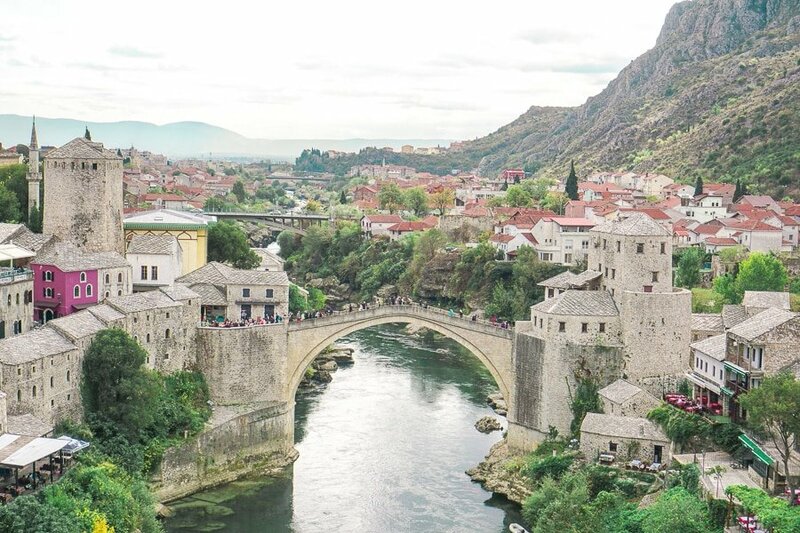 First, we will head to Dubrovnik from Split, and take a slight detour to Mostar. After we will explore Mostar’s famous bazaar, decorated with Ottoman décor. You’ll be able to see the Mostar Bridge, and we’ll talk a bit about the war in the 1990s and how it affected Mostar specifically. You’ll also have an hour or so of free time. From here, we will continue towards Dubrovnik and stop in Ston, the seaside Croatian town known for its oysters and wine. It’s also home to the walls of Ston, the longest fortress walls in Europe! You’ll have time to hike part of them during some free time, which we decided to add onto the itinerary for this year! Also, we will stop to have oysters and a short happy hour become getting to Dubrovnik in the evening. Sunset view from atop Mount Srd. 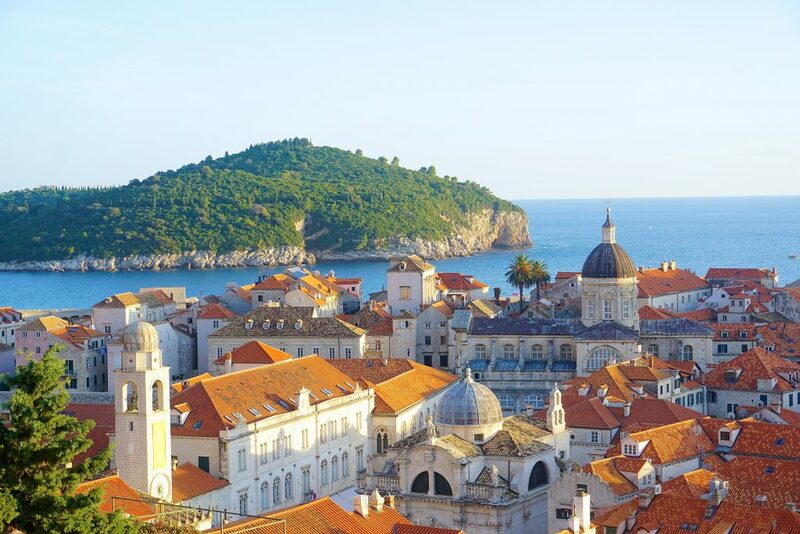 On the last day, we will head to the Old Town of Dubrovnik, the UNESCO world heritage site with the legendary stone houses with orange roofs overlooking the sparkling Adriatic. I’ll point out a few popular sites you may be interested in. 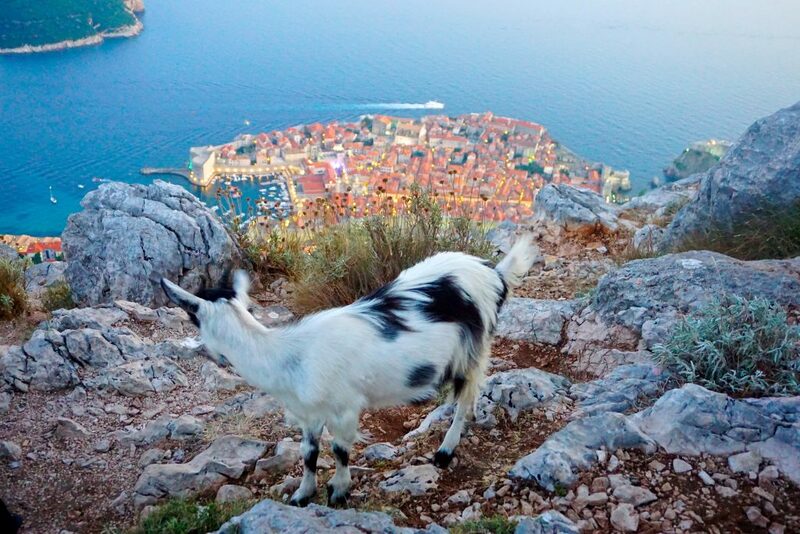 Then you can also join us for a walk around the Walls of Dubrovnik, filled with the best views of Old Town. From here you’ll have the afternoon to yourself to explore on your own. You can take the cable car or hike up to Mount Srd. You can also visit the homeland war museum up top to learn about how Dubrovnik was attacked during the war. Later in the evening we will reconvene for an authentic Croatian farewell dinner. Day 8: Departure day from Dubrovnik airport, with optional add-on to stay longer in Dubrovnik! The total price per person for the trip is $2500, which includes all transport, park passes, accommodation in boutique hotels, breakfast everyday with several other dinners and lunches included, and me as your local guide. The trip doesn’t include airfare, additional meals, and travel insurance. You can see the full itinerary and reserve your spot today via Traverse Journeys here. For a limited time you can use my code MM100 for $100 off your trip. Keep in mind there are only 3 spots left! I hope to show some of you the beautiful country I am lucky enough to call home! *Disclaimer: The following article is written in partnership with Traverse Journeys. While I am not getting paid to write this content, I will be paid to lead this trip, and receive a commission for anyone that signs up for the tour with this code. My views and opinions expressed on my website are my own and do not necessarily reflect those of Traverse Journeys.